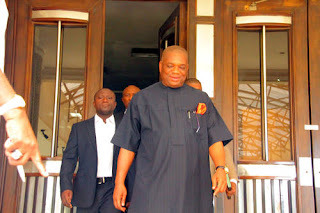 The EFCC on Monday at the Federal High Court, Abuja, filed a 32-count amended charge against the former governor of Abia, Orji Kalu, on alleged money laundering. The anti-graft body had in 2007 initially preferred 96 counts including money laundering against the ex-governor, his company, Slok Nigeria Limited, and Jones Udeogo. 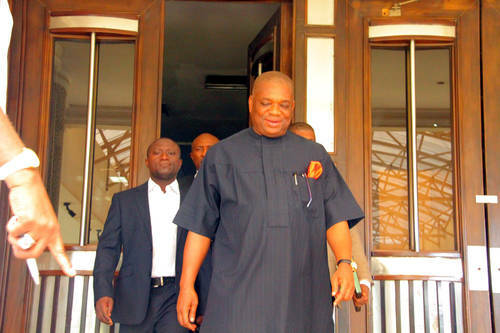 Kalu and his co-defendants were accused of diverting the state’s fund while being governor of the state between 1999 and 2007. The defendants’ re-arraignments were stalled following a pending appeal involving the 3rd defendant, Slok Nigeria Limited, at the Supreme Court. Chief Solomon Akuma (SAN), Counsel to the third accused, drew the court’s attention to the subsisting appeal at the apex court. He therefore urged the court to adjourn the proceedings to allow parties sort out the appeal. On his part, the Prosecuting Counsel, Mr Oluwaleke Atolagbe, opposed the application. He said Section 306 of the Administration of Criminal Justice Act (ACJA) 2015, prohibited stay of proceedings in a criminal matter at the trial court on account of a pending appeal. Atolagbe argued further that the appeal in question was similar to the two previous appeals involving the Kalu and Udoego, which the Supreme Court had decided on March 18. According to him, the apex court dismissed the accused persons’ objections to the charge preferred against them. Ruling, Justice Chikere Anwuli went ahead to grant the application and subsequently adjourned the suit to June 30. The EFCC on February 11, 2008, also amended the charge and presented the 112 counts against the case that has been further amended. Count one of the charge alleged that Kalu between Aug. 13, 2003, and Oct. 9, 2003, whilst being the Executive Governor of Abia State procured Slok Nigeria Limited. The count one also alleged that the ex-governor caused the company to retain in its account domiciled with the then First Inland Bank Plc, Apapa branch, Lagos, the sum of N200,000,000. According to the charge, the alleged looted money formed part of the funds illegally derived from the treasury of Abia State Government through Standard Trust Bank (now United Bank for Africa Plc). The charge therefore held that Kalu thereby committed an offence contrary to Section 17 (C) of the Money Laundering.